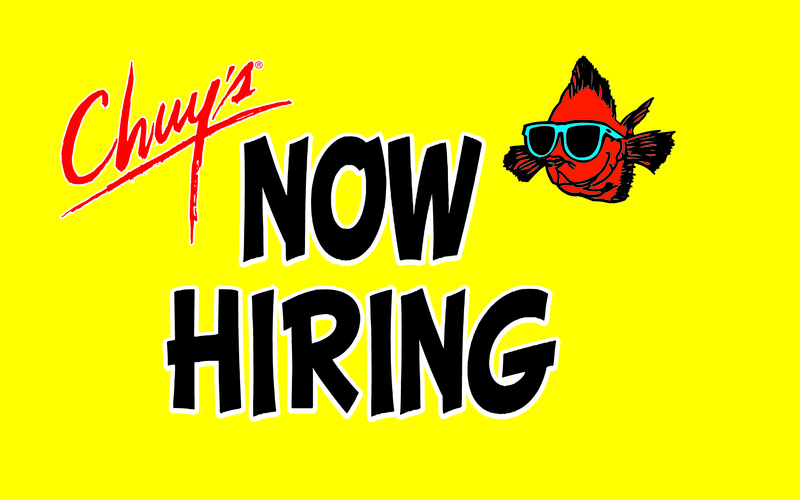 Chuy’s Hamburg - Lexington, KY Now Hiring! Chuy's Hamburg is NOW HIRING for all positions. Enjoy the Chuy's full-loaded Nacho Car every Monday-Friday from 4-7pm during happy hour. Get free chips, salsa, creamy jalapeño, queso, taco meat and more! Just because you and everyone else had the same bright idea to come to Chuy's, doesn't mean we'll let you get hangry waiting for a table. 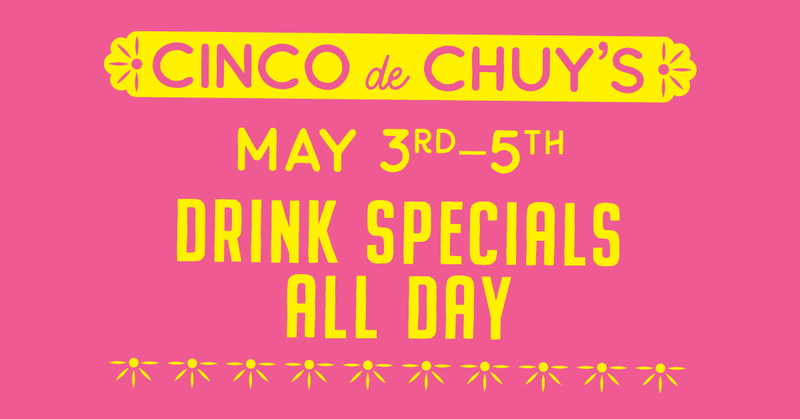 Grab a snack, and a margarita and relax: you're at Chuy's.